Jama Masjid, the largest mosque in Delhi. 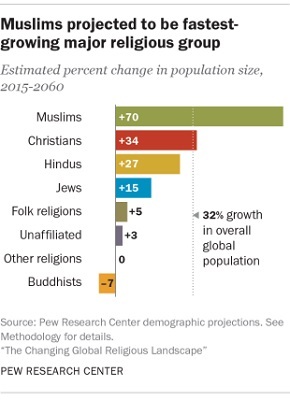 Latest research says Muslims will overtake Christians as the largest religious group by 2060. If predictions go right, Islam will replace Christianity as the world’s largest religion in the next 50 years or so. 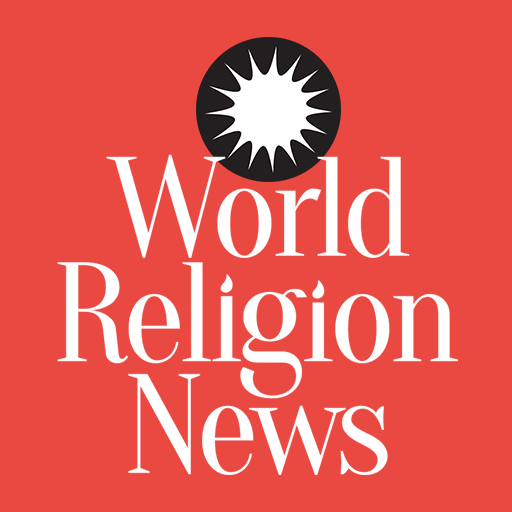 The statistics to support this prediction have come from the Pew Research Center’s growth projections for religious groups. The report states that Muslims will grow at twice the rate of the globe’s entire population. To put it in simple terms, Muslims are growing faster than everybody else on the planet. By 2060, they will overtake Christians as the largest religious group. Currently, the global population is expected to grow by 32 percent in the next few decades. However, Muslims will show a growth rate of 70 percent within the same period. In 2015, it was estimated that there were 1.8 million Muslims. But, by 2060, this number is expected to touch 3 billion. Muslims currently account for 24.1 percent. However, in the next 45 years, this number will grow to 31.1 percent.The primary factor behind the growth of Muslims has been attributed to demographics. For starters, they give birth to more children than members of any other religious group. On an average, Muslim women have 2.9 children. In comparison, Christian women have only 2.6 children. 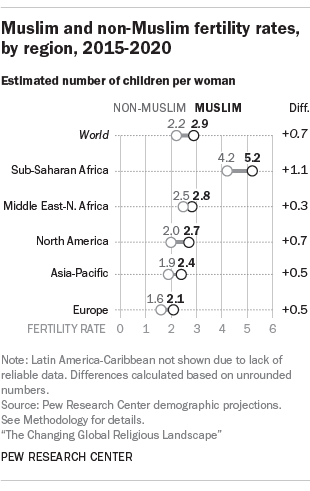 In regions with a sizable Muslim population, the fertility rate of Muslims far exceeds that of non-Muslims. Another factor contributing to this growth is the median age. For Muslims, it is 24, which is the lowest among all religious groups. For most non-Muslims, the median age is estimated to be 32. As a result, there will be more Muslims preparing to start their own families in the near future. This, along with the high fertility rate, will cause the Muslim population to expand at a significant rate. A majority of the Muslims currently reside in the Middle East and parts of Africa, which also happen to be the regions that are predicted to have large increases in overall population. However, even within these regions, Muslims still have a higher growth rate than any other group. For instance, Muslims in Sub-Saharan Africa are said to be younger and possess a higher fertility rate on average. The growth in Muslims has been predicted for almost every region except for Latin America and the Caribbean, where their numbers are relatively low. Even in countries such as India, where Muslims only account for 14.9 percent of the population, their numbers are growing at a rate that is higher than that of the Hindus. 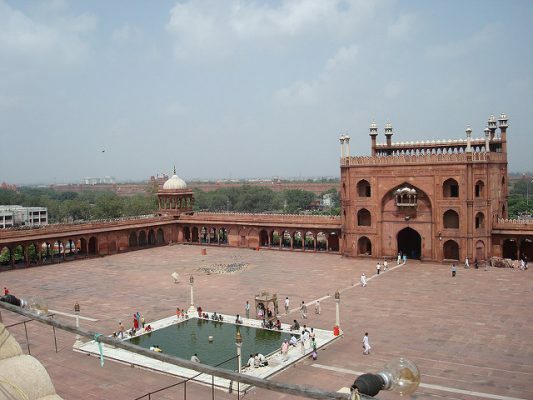 By 2060, the Muslim population in India is expected to reach 19.4 percent.